Name changes, Date changes, Direction changes and Destination changes. Passengers that do not show up for their flight (including not showing up for the shuttle pick-up) will forfeit their fare. You must cancel your reservation 24 hours prior to flight departure time to have your ticket remain open for up to 1 year. All change fees will apply. Thank you for your understanding. 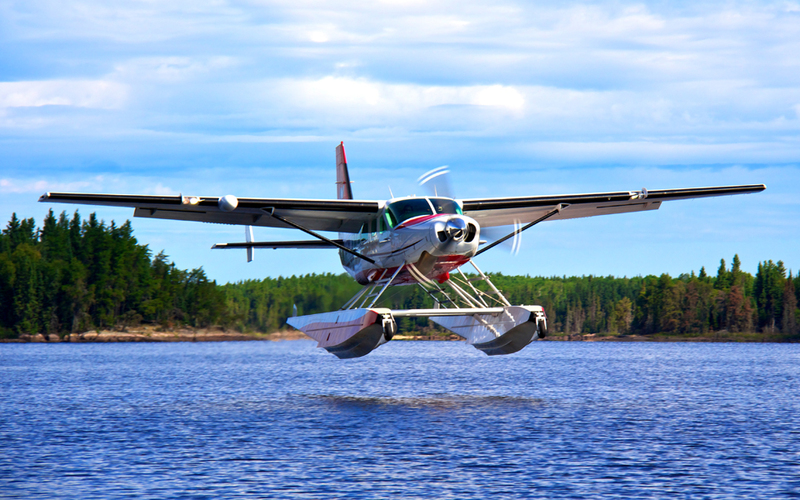 Northway Aviation provides flights to the First Nation communities of Bloodvein River, Berens River, Little Grand Rapids (airport and community), Pauingassi (seasonally), Deer Lake, North Spirit Lake, Poplar Hill, Keewaywin, St. Theresa Point, Garden Hill and Red Sucker Lake. Northway operates flights Sunday through Friday. Please call us to inquire about the availability of flights to the community to which you wish to travel. Our fleet, six Cessna Caravans (on wheels and amphib floats) and two Pilatus PC-12's, provide safe and reliable transportation in comfort. 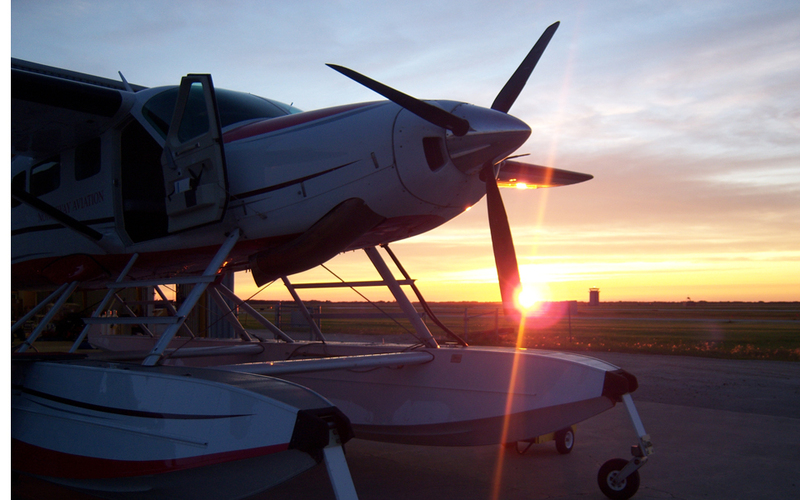 We are based at the St. Andrews Airport on Highway #8 only a few miles north of the City of Winnipeg. You can rely on us to provide the same reliable and safe service that we have been providing for over 50 years! Please contact us for passenger, cargo or charter flight information toll free at 1-888-NORTHWAY (1-888-667-8492) or in Winnipeg call us direct at 204-339-2310. Please check-in for your flight a minimum of 45 minutes before departure time. Time is required for us to weigh your baggage and load the aircraft for departure. Customers arriving less than 45 minutes before departure time may be denied boarding. Payment for your flight can be made by cash, debit, Visa, MasterCard, or American Express. Flights paid for by a third party must be received one hour before cut-off time (one hour before the flight's scheduled departure time). All fares must be paid in advance or you will be denied boarding. Each passenger is allowed 60 lbs of baggage. Excess baggage rates are charged for anything over this amount and excess baggage may need to be held to be shipped on the following flight. No single piece of baggage should weigh more than 50 lbs. Individual items over 50 lbs may be refused for shipment. Please check all items. No carry on baggage is allowed. Read this before flight! Transport Canada takes the safety of the travelling public very seriously. Before takeoff, read the safety briefing card and listen carefully when the pilots give a complete safety briefing. Make sure the briefing includes all the following items and ask questions about things that are not clear to you. We are located at: 501 and 508 Airline Road in the St. Andrews Airport. Passengers should check-in for their flights at the 508 address. The St. Andrews Airport is located between Highway 8 (Mc Phillips Street) and Highway 9 (Main Street) just north of the Perimeter highway on the north side of Winnipeg (12 miles). From either highway, turn on to Parkdale Road (#27) and then on to Aviation Boulevard. Turn in to the airport (through gates) and take your first left. Airline Road will then be the second road on your right. Long-term parking (more than 5 days) please park at 501 Airline Road. Short-term parking you may park at 508 Airline Road, or at 501 Airline Road if space is not available. Please note "No Parking" signs on some sections of Airline Road as cars may be towed. Northway provides a complimentary passenger van shuttle service between Winnipeg and our office. When making your reservation you must also book this service if it is required. Please provide us with your pick-up/drop-off street address and contact phone number. Northway Aviation operates several Cessna Caravans, as well as two Pilatus PC-12. We have found the safety, reliability and efficiency of the Caravan far greater than any similar sized aircraft. 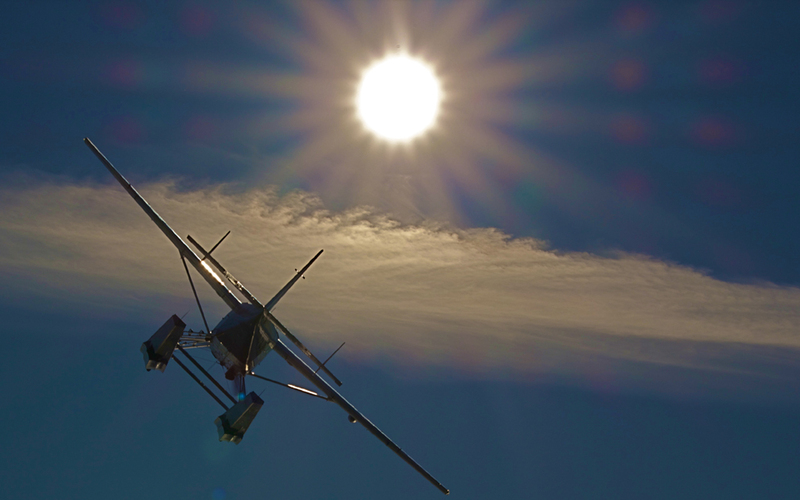 The PC-12 is also extremely versatile with great performance and reliability. Both aircraft are single-engine turbine, with the PC12 being pressurized. Both aircraft seat nine passengers, have great payloads, large cargo doors and are well suited for operating from unimproved strips. The Pilatus PC-12 NG has gained a reputation for outstanding versatility, performance, reliability and operational flexibility. As such, it is one of the most popular turbine-powered business aircraft on the market today. Northway operates this aircraft with two crew. The Caravan 208 has nine passenger seats. It was first produced in 1985 and over 2500 aircraft are in operation around the world. The engine is a Pratt & Whitney PT6A-114A and has a speed of 186 knots or 214 miles per hour. Its range on wheels is 866 nautical miles. Caravan Amphibious has a speed of 162 knots or 187 miles per hour and a range of 790 nautical miles. 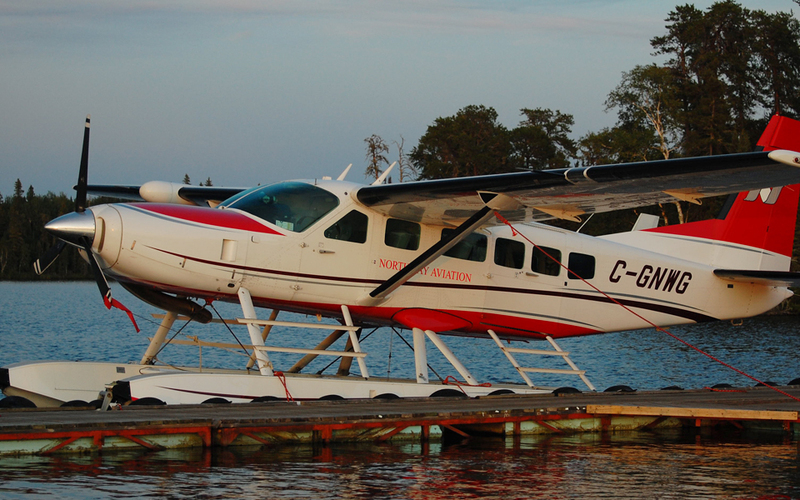 Northway operates two of their Caravan 208s on wheels and on amphib floats seasonally. 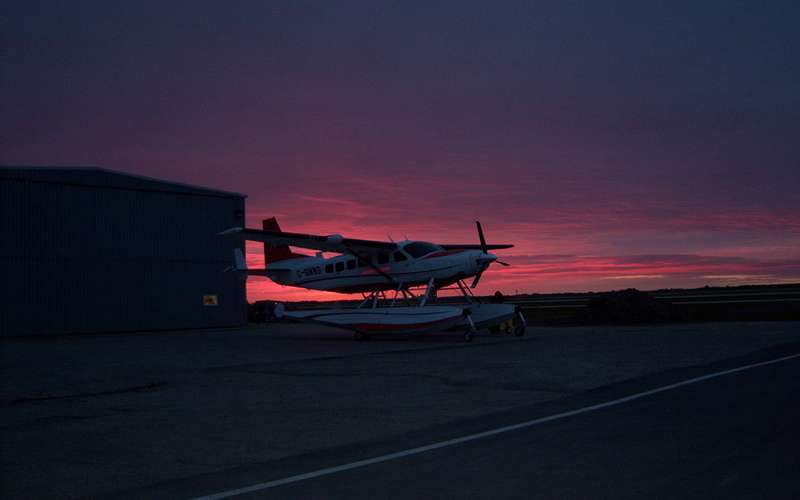 Northway Aviation Ltd. also provides corporate aircraft management. 1-888-NORTHWAY (1-888-667-8492) or in Winnipeg call us direct at 204-339-2310.